The Church Basement Ladies are back! Tuesday Summer Concert Series. Bring College Home. Piano and violin, classical duos and solos. Ross Larson and Olivia Skaja. Optional lunch at 12:45 is $6. Grand Rapids Alliance Church. 600 SE 17th St. Fill the Hill: Grand Rapids High School Marching Band Show. Join us at the Grand Rapids High School football field for the GRHS Marching Band’s Fill the Hill night as they perform excerpts from their 2018 competitive marching band show! Each section of the marching band will be highlighted. See marching, drumming, and color guard techniques demonstrated. All ages welcome! Mr. Pumpkinhead. Don Vidal on sax, Sam Milich on guitar and Pat Downing on bass. VFW. 14 NW 3rd St.
Church Basement Ladies: You Smell Barn. 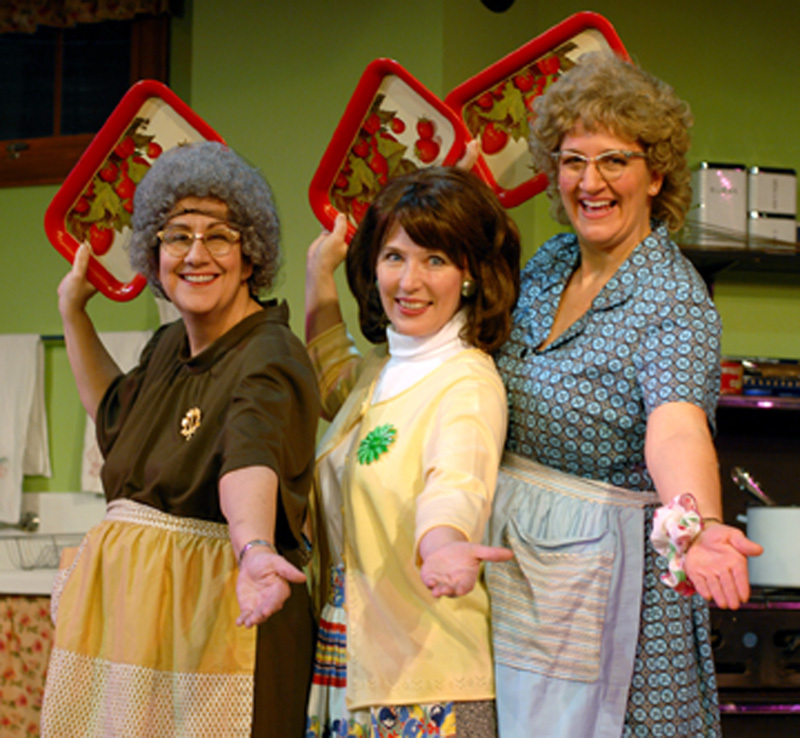 The beloved Church Basement Ladies are back and getting busy with life outside the kitchen. The seventh installment in the popular Church Basement Ladies series. $26. Reif Center. 720 NW Conifer Dr.
Big Waves and Bonfires. Klockow Brewery. 36 SE 10th St.
Darrell Webb Band. Blend of tradition and innovation, their stellar musicianship, and Darrell’s unmistakable vocals. $15. $5 for children 12 and under. Edge Center for the Arts. 101 2nd Ave. Bigfork.